There is accommodation for up to about ten students, who will spend the morning excavating and the afternoon processing finds. 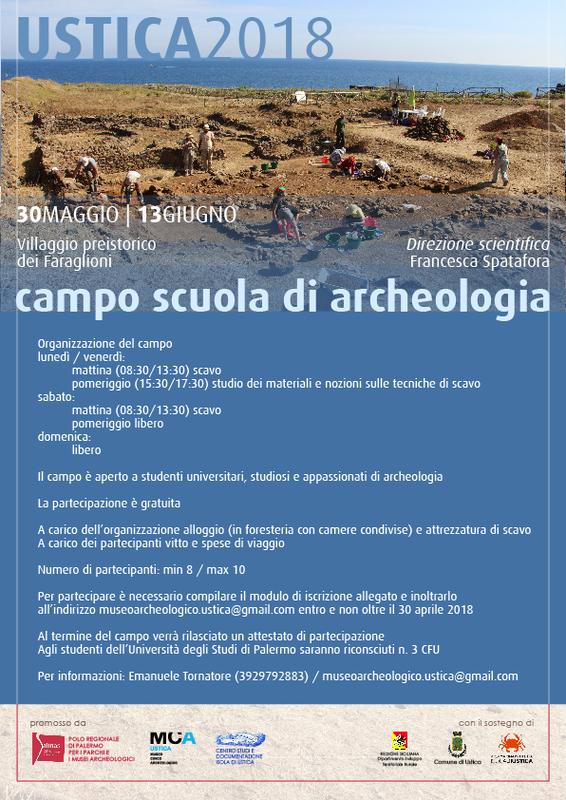 This year, we will be joined by a PhD student who will study the animal remains, and by a recent PhD who will be doing the archaeobotany, and some restauratori. There are a couple of lectures in Italian and one in English and a museum visit. It’s not a fancy dig since, but the site is very rich in material and fun to dig as we uncover more structures. There is great potential for students to do their theses and there is a huge backlog of pottery that still needs to be studied from previous excavations. Brown students would be very welcome! Collected from the beach, dragged up from a muddy field, or clawed out from the quarry face, lithic assemblages recovered by antiquarian collectors played a formative role in lithic studies. The subsequent rise of academic research and commercial archaeology has somewhat overshadowed the work of these amateurs. Nonetheless, dedicated individuals still spend their free time combing beaches, fields and quarries in search of evidence of ancient activity, while community groups gather on weekends to conduct surveys and excavations. What amateur collectors, community groups, commercial archaeologists, student and academic researchers share is a passion for exploring the past and extending the boundaries of our knowledge. As we head into a time where the future of funding for archaeological research is uncertain, we ask what role do amateur collectors and community archaeologists have to play in lithic studies and how can collaboration with professional archaeologists advance our understanding of the human past. The Lithic Studies Society invites abstracts of 200 words for 20-minute presentations on research related to any aspect relating to the role of local collectors, communities and outreach in lithic studies. Please send abstracts to r.davis@qmul.ac.uk by Wednesday 10th of October. Collaboration between amateur collectors, community groups, commercial archaeologists, and academic researchers. Best practice for the collection, curation and reporting of assemblages by amateurs and community organisations. Increasing wider participation and accessibility through digital technologies. To reflect the Lithic Study Society’s membership we actively encourage submissions from amateur, student, commercial and academic researchers. We hope that these themes will provide an interesting day, spark discussion and lead to lasting collaborations between amateur collectors, community groups, commercial archaeologists. The fellowship programs at Bard Graduate Center are designed to further the institution’s goal of promoting research in the areas of decorative arts, design history, and material culture—what we call the “cultural history of the material world.” We offer a number of fellowship opportunities for researchers working in these and allied areas. We are currently accepting applications for two types of fellowships, see below for details. For questions, please contact fellowships@bgc.bard.edu. Bard Graduate Center invites scholars from university, museum, and independent backgrounds with a PhD or equivalent professional experience to apply for funded research fellowships, to be held during the 2019–20 academic year. The theme for this period is “Whose story?” Applicants are asked to address in a cover letter how their projected work will bear on this question. The fellowships are intended to fund collections-based research at Bard Graduate Center or elsewhere in New York, as well as writing or reading projects in which being part of our dynamic research environment is intellectually valuable. Eligible disciplines and fields of study include—but are not limited to—art history, architecture and design history, economic and cultural history, history of technology, philosophy, anthropology, and archaeology. Applications due November 1, 2018. Bard Graduate Center invites scholars from university, museum, and independent backgrounds with a PhD or equivalent professional experience to apply for non-stipendiary visiting fellowships, to be held during the 2019–20 academic year. The theme for this period is “Whose story?” Applicants are asked to address in a cover letter how their projected work will bear on this question. Bard Graduate Center Visiting Fellowships, which are intended for scholars who have already secured means of funding, provide scholars with workspace in the Bard Graduate Center Research Center and enable them to be a part of our dynamic scholarly community in New York City. Eligible disciplines and fields of study include—but are not limited to—art history, architecture and design history, economic and cultural history, history of technology, philosophy, anthropology, and archaeology. Visiting Fellowships may be awarded for anywhere from one month to the full academic year. Applications due February 1, 2019. THE PROGRAM. The University of California President’s Postdoctoral Fellowship Program was established in 1984 to encourage outstanding women and minority Ph.D. recipients to pursue academic careers at the University of California. The current program oﬀers postdoctoral research fellowships and faculty mentoring to outstanding scholars in all fields whose research, teaching, and service will contribute to the diversity and equal opportunity at the University of California. The contributions to diversity may include public service towards increasing equitable access in fields where women and minorities are underrepresented. In some fields, the contributions may include research focusing on underserved populations or understanding inequalities related to race, gender, disability or LGBT. The program is seeking applicants with the potential to bring to their academic and research careers the critical perspective that comes from their non-traditional educational background or understanding of the experiences of members of groups historically underrepresented in higher education in the United States. AWARDS AND APPOINTMENTS. Fellowships are awarded for research conducted at any one of the University of California’s ten campuses. The award includes a salary starting at approximately $49,200 depending on ﬁeld and experience, beneﬁts including health insurance and paid vacation/sick leave, and up to $5,000 for research-related and program travel expenses. Each award is for a minimum of 12-months and may be renewable for an additional term upon demonstration of academic/research productivity. ELIGIBILITY. Applicants must receive a Ph.D. from an accredited university before the start of their fellowship. Successful applicants must present documents demonstrating that they are legally authorized to work in the United States. Individuals granted deferred action status under the Deferred Action for Childhood Arrivals program are encouraged to apply. chronika@buffalo.edu by Friday, October 19, 2018. December 7 – First draft of full article is due. December 28 – Article is returned to author with comments. February 8 – Revised article is due. April 5 – Chronika launches in print and online.